In only four years, thanks to the funds of powerful Second Empire businessmen, who had seen the juicy potential of the project, Deauville sea resort emerged from the swamps and from 1864 to this day, the rich Parisian society enjoys spending time in the « town of pleasures ». And there are quite a few pleasures, indeed: beach with cabines, the Planches walk, shops, luxurious hotels, a casino, a racetrack and a hydrotherapy spa. 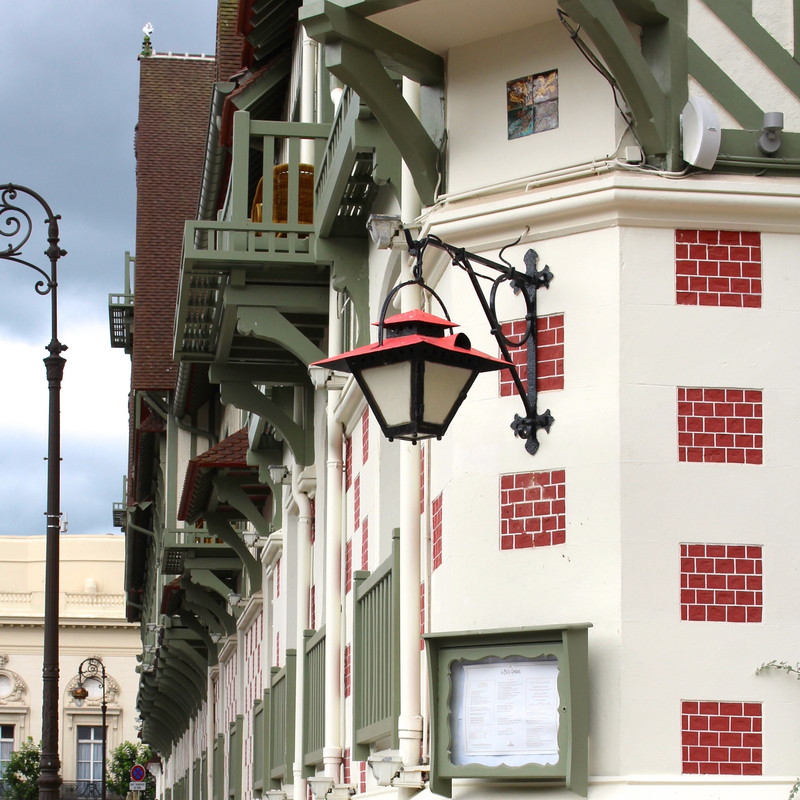 The entire town was built to satisfy the desires of the rich Parisian society, to the point where Deauville is referred to as Paris’s 21st district. The town’s design mirrors Haussmann’s Paris and the original village has disappeared in the earth. This explains the mixed feelings that Deauville can leave you with: already back in 1868, the Conty Guide believed that « everything in Deauville is pretentious, even its sea, which you have to chase. Too much sand and too many smokescreens ». So perfect, so glazed that it can become fake, lacking in authenticity. But also the joy of benefiting from the sea only two hours away from Paris. And to take pictures there. And Deauville is after all the town which saw the Boy Capell and Gabrielle Chanel’s romance, back when she was still a young fashion designer with a street-side gable next to the casino and a habit of parading in her own creations along the Planches.